Grew Up… as the pretty and pure daughter in a traditional, well-off family from Sydney, Australia. Sandy was raised in a well-mannered household, and she has always been a sweet, feminine girl. Living… near Rydell High School. When Sandy is 17, her family decides to stay in the United States after spending the summer at an American beach. As a result, Sandy ends up at the same high school as Danny, the boy with whom she’d had a romantic summer fling. Interests… cheerleading and sweater-sets. Unfortunately, these are not things that the Pink Ladies – the "cool girls" at Rydell – care about. In fact, they look down upon them. And without the approval of Rizzo and her friends, Sandy isn’t going to have an easy time dating Danny. Relationship Status… still in love with Danny after their summer fling. 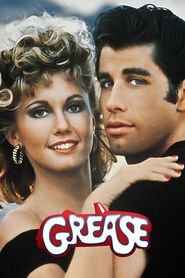 The relationship ended because both thought Sandy would be returning to Australia, but after she ends up attending Rydell High, it’s clear that they both still have feelings for the other. Challenge… finding a way to date Danny despite the fact that they are from different worlds. Danny is seen as a rebellious bad boy, and a leader among his friends. Dating a good girl from the other side of the tracks could easily throw his position amidst the social hierarchy into question. Personality… innocent, friendly, considerate. She’s one of the nicest girls anyone could ever meet, which means that Rizzo hates her guts. Sandy just wants to enjoy life and love, but unfortunately that’s not easy to do while navigating the social structure of a stereotypical American high school. Sandy Olsen's popularity ranking on CharacTour is #143 out of 5,000+ characters. See our top-ranked characters and read their profiles. Australian good girl Sandy and greaser Danny fell in love over the summer. But when they unexpectedly discover they're now in the same high school, will they be able to rekindle their romance despite their eccentric friends?